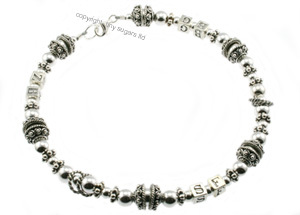 anklet is our heaviest design yet it falls softly around the ankle. created by craftsmen by hand and sometimes have slight variations from the image shown. 1/2 inches for a slightly loose fit. mothers anklets to lay just below the ankle bone and have a little more movement.